FIFA 14 is going mobile and online. FIFA on mobile will be free! And, there’s FIFAWorld using fantasy teams online for millions of people to play together. As Jean Luc Piccard narrated a beautiful trailer, FIFA 14 played out. The goal is capturing the passion and love of football, which I think they managed in this trailer. Gameplay has Real Ball physics, Precision Movement and Pure Shot. FIFA 14 has new features and innovations. The game will feature 33 leagues and over 600 players, as well as new Argentinian and Brazilian clubs. Also, real world events will influence the game, including injuries and how the seasons progress. Don’t worry about upgrading to next generation consoles – if you play the game on this generation consoles, you can still take your teams and even EXP with you to the new generation. The Xbox One will have Football Legends mode with exclusivity; German football legend, Matthaus, discussed Legends and the joy of playing with old legends and current heroes. Sounds like fun. New features look incredible in the living world. Stadiums will come alive with camera fly overs and full pre-match ceremonies. Players can even interact with the ball boy. Broadcast cameras give hundreds of replay angles and add emotion and personality to the game. 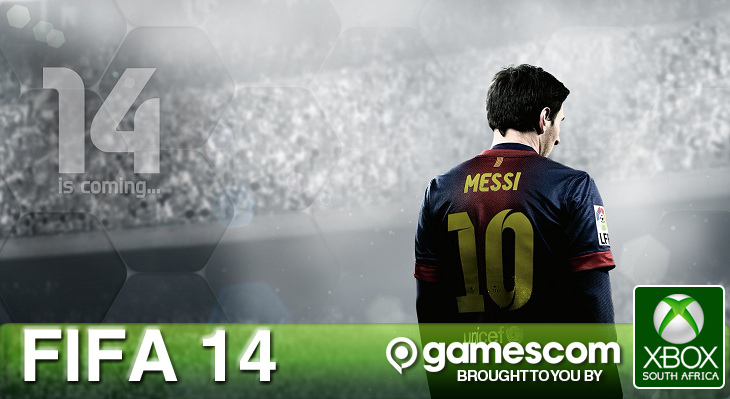 The world is alive in FIFA 14 – scary (but impressive) stuff. The demo will be available Sept 10 with the game launching at the end of September.